This entry was posted on Sunday, January 29th, 2012 at 6:42 am and is filed under medications, psychiatry, psychopharmacology. You can follow any responses to this entry through the RSS 2.0 feed. You can leave a response, or trackback from your own site. 60 Responses to Whatever Works? A brilliant, honest and practical post about the realities of practicing medicine. The reality is that we don’t know as much as we’d like about how the body works, but have to do what we can with what we know in the present. Since the focus of treatment is the alleviation of symptoms, and there is no known pathogenesis of symptoms, although correlations abound, eclecticism would seem to be fitting, to the extent that the benefit/harm ratio is acceptable to both prescriber/treater and patient. Many of the non-pharmacologic treatments you listed do have established health benefits, albeit not specific to any psychiatric labeled disorder. To that end, I was nosing around a dusty corner of PubMed. I am interested in constitutional (chronic, asymptomatic) hypotension, sympathetic nervous system function and mood. Lo and behold, until the 1940s when a single large epidemiological study changed conventional wisdom, hypotension was associated with low mood and distressing anxiety. Several recent studies – one a large longitudinal epidemiological study in Norway – confirm a strong relationship – specially so in people with anxiety +depression. So digging further, and there are studies showing impaired executive & cognitive function as well as memory impairment and anhedonia. What don’t meds effect in depression? Anhedonia and memory/cognitive function. So I wonder if for people with depression and anxiety who present with chronic hypotension couldn’t be given an alpha andrenergic to the extent that BP falls within the middle of “normal” systolic readings (the relationship with diastolic pressures were not robust). Prescribers could measure memory, cog function and even do MCA ultrasounds (where the findings were blunted amplitude and a question of hypoperfusion in the studies). I tweeted the links to the seminal studies yesterday. Finally, websites such as CureTogether use crowdsourcing to identify treatments which users find helpful and otherwise. I think this type of data collection might be an avenue to pursue for clinical practice psychiatrists to develop for their patient populations to be able to get some interesting data about real life practices with people who don’t fit into nice and neat clinical trial eligibility – in other words, the down and dirty mixed bag of complexity. Great post – lots to ponder. That antidepressants work in the syndrome of melancholic depression (as opposed to what seems to pass for major depression these days) is indisputable. And psychologists who think psychotherapy helps when someone is in a severe psychomotor-retarded state needs to have his own head examined. Similarly, psychotherapy is way more effective for the syndrome of dysthymic depression than the drugs, especially over the longer term. Hard to “prove” but very easy to see. 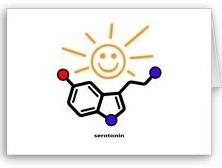 Of course SSRI’s affect serotonin. They also cause neurogenesis in some parts of the brain. (A) There’s a place for SSRIs in psychiatry. No doubt. (B) SSRIs do affect serotonin, but they do so much more. It’s our job to figure out (B) so that we can more accurately employ (A). Hmmm….interesting. I liked your analogies to things such as Tai Chi and religion. I swear by Tai Chi. I used to think it was just for elderly people, but I’m in my 20s and it really does work to get you centered and help with acid reflux. I have a video saved to my computer that I follow along with. I think the issue with the SSRIs (at least for me), is that they have been given so much credibility that I wonder if the myth is actually preventing children in particular from getting the help they need. I think school systems (hopefully they are getting better), believe in the medications…too much. I myself was in special ed. for an emotional disturbance and it is kinda freaky, now that I look back on it, how much they would push medication. There would be complaints that I wasn’t taking my meds even though I would have severe side effects. I was put on Ritalin, Lexapro, Prozac, celexa, abilify, lithium, zoloft, zyprexa, paxil, ativan, and wellbutrin all between the ages of 11-17. And for that whole time I was a disoriented mess. They kept trying to push an ADHD diagnosis, even though 3 different psychiatrists disagreed with them. The school just didn’t get it. They really thought a pill could solve everything. Later on, I found out in college why I had so much trouble learning in school….I’m severely learning disabled. I’ve heard that schools actually tend to target kids with learning disabilities so they can make a diagnosis of ADHD or emotional disturbance. A school psychologist told me that people in his field feel really pressured. If the school can get funding to accommodate a learning disabled child, the school psychologist will be pressured to find more and more kids to meet that diagnosis…however, if the school is broke, they will actually pressure the school psychologist to stop diagnosing learning disabilities because it is so expensive. It’s actually cheaper for the school if the kid is emotionally disturbed. I didn’t know this, but if you are learning disabled, the school has to help you even into your early 20s, and the accommodations are way more expensive than if you have ADHD or some other problem. With all of this emphasis on meds, I’m actually wondering if psychiatrists are just being used like a pharmacy by school systems to drug kids. That way the kid is mentally unstable. That’s why the kid can’t learn. It has nothing to do with learning disabilities or other causes. Because if the kid is not learning because he is learning disabled…guess who is to blame? The school! Guess who is to blame if the kid isn’t learning cuz it was the wrong med combo? The psychiatrist! Sorry Steve. Looks like your profession is getting scapegoated. Thank you for sharing those details. Your story confirms what I’ve long suspected about child psychiatry, but have been reluctant (for obvious reasons) to write about. As for tai chi, I agree, I did it for a while several years ago, and while I personally didn’t put too much into it, I could definitely see why it would be helpful (e.g., for decreasing falls in the elderly, treating anxiety and improving mindfulness and attention). For the last few months I’ve been doing bikram yoga, which has been absolutely amazing for flexibility and to help fight my sciatica. Had I visited my PMD with the same complaints, I’d probably walk away with a prescription for a muscle relaxant and/or an opioid (and probably a photocopy of some stretching exercises). You’re absolutely right that psychiatrists are under pressure to medicate from schools as well as a lot of other sources including the public itself. But that still is no excuse for them to do what they did to you. The doctors who put you on all those different drugs at the ages you were are totally incompetent and therefore dangerous. And I can say that even though I don’t even know what symptoms you had! And I would be willing to bet that they almost completely ignored what might have been going on in your family life – not to mention your learning disability. Well…actually, back in the 90s and early 2000s, child psychiatrists very rarely interviewed minors. So I don’t know how much they knew about my life. I doubt much. I don’t know what it is like now. Interviewing kids just didn’t happen back then. My father would go in with me, he would talk about me, and the psychiatrist maybe once or twice addressed me. I remember the psychiatrist who was going to put me on Adderall when I was 12. He spoke to my father, then kicked my Dad out and called me in to explain what adderall is and why he was prescribing it. As he was writing the prescription, he said it would help me with things like reading. I piped up and said, “I read all the time. I love to read.” This surprised him. And it was totally true. I would read for hours. That nixed the Adderall prescription. It was also the most that any psychiatrist had ever spoken to me before. I love how he was even writing the prescription as I revealed I am an avid reader. He diagnosed depression. It might be different now, but back then it was very rare for a psychiatrist to address a kid. They usually just went based on what the parent was reporting. It was all very unorganized back then, and there was very little digging for information outside of a checklist of symptoms. It wasn’t unusual for a parent to show up at a psychiatrists office, report some symptoms, maybe give the opinion of the school, and walk away with a ritalin prescription five minutes later. …Though what really alarms me is I hear they do that with Risperdal prescriptions now. I was on Wrong Planet a long time ago, and all the Aspies were pissed off about Risperdal being okay’d for Aspergers. And then some woman went on and said her poor Aspie child was so problematic that the doctor knew within five minutes of meeting him that he needed Risperdal. And all the Aspies on the board are like “….You’re doctor knew in five minutes that you’re kid needed Risperdal?” I feel like Risperdal should be more carefully prescribed than the stimulants. This make sense to me. I tend to talk about SSRIs as possibly increasing the efficiency of serotonin transmission, and possibly being anti-inflammatory, but not increasing serotonin in the long term. Which is good, because every medicine that increases serotonin (such as Phen-fen and meridia) causes cardiovascular problems. And whether or not SSRIs are placebos or not… I’ve seen them have a fairly consistent effect that I can’t quite attribute to placebo. I tell people they help best in combination with therapy, that they only seem to help while you are taking them, whereas data has shown that therapy helps you for the long term… well, I could go on. However… 99.5% of my patients come to me already on medicine. The horse is out of the barn. So I work my best to enforce as many positive behavioral things as I can and do the most reasonable med regimen I can. Psychiatric medications have adverse health consequences even in people who do not complain of side effects. For example, all of them, even antidepressants, dramatically increase the risk of diabetes. Here we have drugs of dubious benefit prescribed after dubious diagnosis to 11% of the population (those with major depression mostly not being treated), adding to an indisputably life-threatening chronic disease epidemic that is an extraordinary burden to society. Every doctor’s risk-benefit analysis must include the public health risks, and yet paper after paper from the psychiatric establishment insists that the benefits (???) of psychiatric drugs outweigh the risks. Regarding Dr. Pies’s apologia mentioned in the article: It starts with a wacky rant that the “chemical imbalance” theory was manufactured by anti-psychiatry forces to embarrass psychiatry. According to Dr. Pies, no “knowledgeable,” “well-trained,” “informed” psychiatrist ever truly believed it. And just about any patient has heard it expressed in all seriousness by his or her doctor. That is why so many on are psychiatric medications for so long: To treat a hormone deficiency, like diabetes. Who wants a scary hormone deficiency like diabetes? In a subsequent article for a patient audience http://psychcentral.com/blog/archives/2011/08/04/doctor-is-my-mood-disorder-due-to-a-chemical-imbalance/, Dr. Pies tries to dig himself out of the hole he’d dug by explaining that doctors deliberately told what they knew to be a myth to patients to console them. It wasn’t done as a manipulation to persuade them to take drugs. It was done out of compassion and sympathy. Really, who can accept this argument? What it looks like is that Dr. Pies took on the task of spinning a humiliation for psychiatry. Marcia Angell had just published the first of her criticisms in the NY Review of Books http://www.nybooks.com/articles/archives/2011/jun/23/epidemic-mental-illness-why/?pagination=false It was becoming widely known that the “chemical imbalance” theory, which psychiatry had taken to the bank for 20 years, was nothing but snake oil. Dr. Pies had to choose between admitting that psychiatrists were misled or deliberately misinforming patients. Dr. Pies went for negligence. It’s less of a strategic loss; “misled” would open up an ugly can of worms about psychiatric research. Psychiatry cannot afford to be wrong, as it is advancing other theories to protect its territory. Something is gonna stick, right? Doctors please stop arguing amongst yourselves about theories and evidence. Stand up for your patients. The research, development, funding, cost, marketing, prescribing of medication for the treatment of mental illness is a mess. My therapist, psychiatrist and primary care physician all recommended I take an antipsychotic (adding to my antidepressant, which I’ve taken for more than 15 years). So far, I’ve decided against it. The unknowns are too great. The bickering between professionals about what works and what doesn’t work is overwhelming. The potential side effects are frightening. I am barely able to keep myself alive and maintain an independent existence. Off my antidepressant, I become so severely depressed I feel as though my body will just stop. The torment is so horrific. I become suicidal. I also become enraged for barely any reason at all. So, I continue to take the antidepressant -just to maintain. I’m still depressed. But I also know what I face each day. I don’t want to make things worse. How would you feel if you were treating a patient for diabetes or cancer and they refused treatment because they were afraid their treatment would make them worse? Your patient chose to remain sick and potentially die prematurely because she was confused and overwhelmed by all the conflicting information she received about her treatment options. This is precisely the decision I was forced to make. Reports of unethical professors, research facilities, and doctors; studies disregarded; big pharma; new FDA warnings… not to mention the information about the medications themselves. Doctors, do you realize how frightening it is for mentally-ill, emotionally-unstable patient to try to figure out what is best? Deciding whether or not to try a new medication and then the process of trying that medication is emotionally gut-wrenching. I spent six months last year trying an add-on depressant to what I already take. Six months. My symptoms worsened. Hope, and hope once again taken away. Time lost. I don’t think I can adequately describe how this trial-and-error process of psychiatric medicating is harmful and painful. However, I make my decisions -as best I can. More than 15 years ago, I decided to accept what doctors told me that my depression is caused by a chemical imbalance. It’s a physical illness. Biological. I needed medication. I take medication. Years later I learn that I take a medication that has the potential to harm my unborn child -so I decide not to have children. For that reason, and because my chemical-imbalance-caused depression is hereditary, and I don’t want my child to suffer the way I’ve suffered, I decide not to have children. Am I stupid? Are the doctors of the world laughing at me for overreacting or misunderstanding? Am I a fool for buying into the myth that depression is a chemical imbalance? Am I a fool for buying into the myth that depression is hereditary? Am I a fool for taking medication or not taking medication? Am I a fool for making the decision to not have a child -ever- based on my illness and the medication I take because of that illness? Am I even really sick? Will the doctors of the world be laughing at me when we find out that long-term use of antidepressants cause dementia or some other hideous neurological disorder? Is it amusing that I can not work because of my mental illness and, as a result, I am one of those freeloaders living off disability? Is it funny that I worry about becoming a bag lady pushing a baby carriage during my senior years -addle-brained after a lifetime of taking psychiatric medications and poverty-stricken after years on disability because I bought into the idea that I have some sort of illness? Maybe I’m out of line. I’m just sick of depression, and I’m tired of being afraid of its treatment. ReleasingLunacy, very sorry to hear of the hard time you’re having. Those symptoms you have when off your antidepressant could very well be withdrawal syndrome rather than a psychiatric disorder. See http://survivingdepressants.org and compare your experience with those reported in the Introductions section. Thank you for the concern. What I experience when I am not taking an antidepressant may very well be withdrawal or not. Can there really be any doubt that after 15 years taking an antidepressant something within my brain has been altered? It’s frightening to think what I’ve done to myself… or not. What would life have been like had I never taken an antidepressant? Would I have finished college? Would I have ever entered into a career? Would I have become an alcoholic like several of my family members going back generations? I have heard stories of people going off antidepressants and other psychiatric medications and being so glad they did. I’ve also read stories in forums of the massive lengthy struggles people endure to come off of these medications. I know I was depressed and engaged in self injury for years prior to starting an antidepressant. I know I stopped self injuring for years after starting an antidepressant. I was able to continue moving forward with my life. Why doesn’t it work as well now? I don’t know. Is taking the antidepressant right now harming me? I don’t know. Would I be relieved of my depression symptoms if I stopped taking the antidepressant and worked through any withdrawal? I don’t think so. I experience no side effects that I’m aware of taking this antidepressant. When I stop taking the antidepressant, I don’t get sick. I can’t describe the extreme depression I feel. It’s this insanely intense depressed feeling that causes me to feel like I am literally dying, like my body will just stop working. I don’t want to feel that ever again. So, for me, for now… I’ll keep taking Zoloft. Sad. So, how do you account for the fact that patients often have to try one medication after another before finding one that helps? How do account for the fact that I only experienced side effects with 2 of the 6 or 7 antidepressants I tried? Zoloft was the only medication that ever worked at all. Why wasn’t I spellbound with the rest of them? Why didn’t the placebo effect kick in with the others? Natural recovery? I agree antidepressants are over prescribed. I’m sure there many, many cases in which they are not needed. But, I have been depressed since preschool -most likely before that. My depression never went away. It will never go away. There will be no natural recovery. I’ve have experienced depression through all manner of life’s highs and lows; through childhood, adolescents, young adulthood and now I am settling into middle age at 36. I suffered with depression as an elementary school student and through college. I suffered with depression during minimum-wage jobs through jobs in my chosen career field. I suffered with depression while I was a healthy weight and exercised religiously. I suffered with depression during various times in my life when I’ve gone to church regularly. I suffered with depression while I volunteered with animal rescue groups. I suffered with depression at family functions -childhood birthday parties, high school pool parties, holidays, vacations. While suffering with depression, I had to withdraw from college (though I did return). While suffering with depression, I quit one job and was fired from another (after a hospitalization). While suffering with depression, I’ve been involuntarily committed because of self injury three times. To state that medication does not work at all for anyone for any real or purposeful reason -just a bunch of weak-minded people who believe in hocus-pocus?- and to state that we all just recover naturally -as if depression is no more serious than skinned knee- is insulting. On this blog, or any other I have never mention to people who suffer symptons, “weak-mindned people” nor have I every once made light of the suffering that comes from depression. I’m for finding the root causes of depression, and finding solutions. I was countering Duane’s claims with MY personal experiences, since according to Duane’s comment the medication I take does not help me except through placebo, spellbinding and/or natural recovery. At no point in his comment did he present the possibility that for some patients medication does help via the properties of the medication (whether we know how or why or not). So you need not state that my argument for my case is weak. Perhaps I did not make myself or my condition clear in my comment. Do I not present as someone who suffers from severe depression? Without medication, I am a severely depressed and suicidal patient. With medication, I am a severely depressed, but less suicidal person. There was a question mark after my “weak-minded” comment -as in are we just a bunch of weak-minded people who believe in hocus-pocus? Please inform me if there is some definition or concept of spellbinding that I am unaware -perhaps it means something different in medical/psychiatric communities. But, as far as I am aware the meaning of spellbinding is to hold under a spell; to enchant. To suggest that the medication I take ONLY works because of the placebo effect or spellbinding (since I have definitely not naturally recovered) is insulting. Are you suggesting Big Pharma put me under a spell? I was enchanted by the idea that the medication would work? This is making light of my suffering. Why aren’t cancer patients cured by spellbinding or the placebo effect? ….Because cancer patients’ illnesses are real? Do you know what causes depression? If you do not, then how do you KNOW medication, through it’s medicinal properties, does not help certain people? If you’ll excuse me now. It is time for me to take my little magic pills. Please, stop telling me they don’t work, or the placebo effect might wear off. “Whatever works” refers to whatever story will convince patients to take medications — the serotonin myth, the neurogenesis myth, the inflammation myth, the “diseased brain circuits” myth, the genetic determinism myth, cosmic rays, lumpy cranium, curse of the vampire, etc. An imprecise term to describe interactions so complex only doctors can possibly understand them? Give me a break, Dinah. I see you reason post hoc that since SSRIs raise mood (sometimes), serotonin must have something to do with mood disorders. Psychiatry still doesn’t have a clue. Let me explain how it works: ALL HORMONES affect mood. Screw with one and you screw with the others. Changes in mood are incidental and unpredictable. Psychiatry is still attempting to find scientific validation to feed its own ego. Patients are just roadkill along the way. As for the rest of your post, I agree with you, but one message I was trying to convey was that the “whatever works” philosophy applies to other, non-medication interventions, too: some promoted by psychiatry (ECT, rTMS), some not– or not as much (acupuncture, exercise). Finally, I know you were speaking to “psychiatry” as a whole, and not to “psychiatrists” (at least not to this one– I hope! ), but I take personal umbrage with the statement that “patients are just roadkill.” I don’t know how many times I’ve lamented in this blog that my efforts to promote the patient’s own self-advocacy and well-being are often thwarted by overwhelming bureaucracy, a non-intuitive EMR, pushy sales reps, teachers/advisors/supervisors that are in the pockets of the drug companies, patients’ inability to navigate this complicated and confusing system, and many other factors. I don’t know ANY psychiatrists (even those with the most questionable of ethics) who see patients as “roadkill.” That said, I DO know psychiatrists who are either (a) so enamored of the chemical-imbalance myth, (b) not interested in seeing the patient’s point of view, or (c) so unduly influenced by Big Pharma, that their actions– as well-meaning as they may be– result, paradoxically, in patients’ continued suffering. This is what I referred to as the “collateral damage” of the chemical-imbalance myth. But it is most definitely NOT the intent of the psychiatrists themselves. I have experience with 3 psychiatrists who acted in a malicious manner (with an objective 3rd party verifying the malicious malpractice in each of the cases, none of which were related), so although I agree that the norm is not that patients are viewed as “roadkill”, as AltoStrata so vividly stated, I know that the view of patients as objects to treat at whim is by no means rare. Anyone who sits on QI/risk committees knows this to be true, Steve. I know you are already overloaded, but I wonder if you might consider participating in those venues at some point in your career. Performing root cause analyses and looking for system failures and opportunities can be hair pulling maddening, but also incredibly educational. And getting a close up look at “poor performers” is eye opening, to say the least. 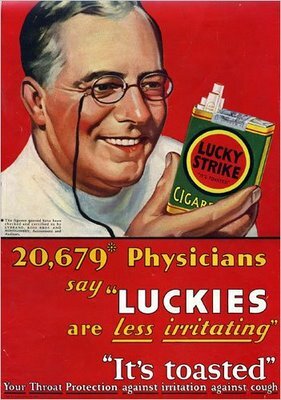 Au contraire, psychiatry does have a “clue”… we have lots of them, just not THE answer. Most of these things you mention, alto, are not myths but rather theories — each with varying amounts of data to support or refute. The ones with heavier amounts of data Against (vampirism, for instance) are more myth-like. The ones with with more data in Support tend to be described as the way it really works, but these are still theories. Your hormone theory certainly has some data to support it, but your theory that mood changes are incidental and unpredictable is only partly true. There are many who could predict mood changes based on X, Y, or Z happening. Really, Roy? Which X, Y, or Z? In which populations? Let’s look at SSRIs, for example. About 1/3 of humans say they do better mood-wise, about 1/3 do worse, and about 1/3 feel no effect. Is that what you call predictable? In the rest of the world, that’s called a null result. If “many” can predict mood changes based on X, Y, Z, that would be the predominant paradigm would it not? And what is the predominant paradigm now that “chemical imbalance” has been routed? So, I’m referring to X or Y like losing your job, finding out some bad news… These are things that predictably result in mood changes. Dr. Steve, I apologize, I’ve over-generalized. The stories people tell on my site about over-medication and ignored severe adverse reactions, which seem to be happening throughout psychiatry everywhere in the world, color my thinking about the profession. There are exceptional doctors in psychiatry as well. I agree with your intention to use “whatever works” — not strictly medication — to help patients. Personally, I would like to see medication rarely and much more safely used. With all due respect to your careful prescription of meds for kids in foster care, in my opinion, too many of those folks were used as roadkill by psychiatry. Before anyone flames me, prescribing repeatedly up to 5 meds for conditions that were simply a normal reaction to being abandoned by parents qualifies as treating patients as roadkill in my opinion. Gabriel Myers, who sadly hanged himself at 7 after being prescribed various psych meds was a perfect example of this. Regarding the Star D study, I wanted to gently remind you and your readers that your colleague Mickey Nardo, who runs the 1boring old man blog, verified Ed Pigot’s research that the optimistic reported results were based on deliberate misleading statistics. First, bravo for yet another provocative post. This blog generates some lively discussion, to say the least. I’ll only reiterate that despite all the pharmacologic boilerplate about neurotransmitters and actions at receptor sites, we honestly do not know what lifts depression. And yes, SSRI meds can work. Just not for everybody. I’m hard pressed to think of a more over-sold class of meds ever, save maybe statins. And direct-to-consumer advertising has fanned the flames. Good to know that some additional lines of investigation have been pursued. Glutamate? Some promise, but a scary premise on several levels. Polypeptides? Whatever happened to Nemifitide? So much yet to learn. And we need to be forever cognizant that depression comes in a lot of flavors and etiologies. Over the last 20 years, I have had the good fortune to work as a consultant to a group home for troubled kids, sponsored by a former NFL football player who is very invested in mentoring, and knows that they have to be removed from intransigently pathological homes before any of his philosophy can take hold. The state facilitates his mission, since all of them are in their custody, either due to neglect/abuse and/or ungovernable behavior. He and I are very compatible because we both shun the prevailing idea of psychiatry to put the cart before the horse, as far as labeling the child as the problem and medicating him into a state of submission or apathy. I conservatively estimate that the average teen admitted into his program has been hospitalized several times, branded with many diagnostic labels and been exposed to a plethora of psychotropic trials to little or no avail…otherwise they would not have mercifully landed on his doorstep. I’ve seen literally hundreds of these kids over this time frame. Initially, I proceeded rather cautiously, in many cases continuing their silly regimens or tapering them insignificantly. But in the last 10 years, I’ve been very aggressive in quickly pursuing a drug free goal, knowing that there was a safety net in place were there any adverse reactions. Much to my surprise, virtually no sequela have occurred as a result. Nowadays, I find myself avoiding any type of diagnostic ritual up front, and simply allow them an opportunity to adjust to a healthier environment. Consequently, I am repeatedly amazed of their resiliency as far as their capacity to adapt. I think it’s fair to say that such a sample size has been quite sufficient to have left me with a lasting impression that most of what we do in the relatively unstructured and unsupervised confines afforded in an outpatient setting, despite even the best of intentions, with children and adolescents who are not afforded such an environment, is clearly not conducive to recovery, and is to the contrary, an abject exercise in futility. The small percentage (5% or fewer) of those who do not progress in his program and continue to rebel, I have come to realize, are recalcitrant conduct disorders, and their psychological evaluations support such a conclusion. And no amount of medicating will change their situation. But again, they represent the extreme minority of poor outcomes. The point of all of this is that no matter what efforts, whether noble or contrived, are made in an attempt to reform our system, whether it be to respectively eliminate certain overly assigned diagnoses or to create new ones, they are tantamount to rearranging deck chairs on the Titanic, so long as this subset of our nation’s unfortunately are subjected to their hapless existences in immoral squalor. Even if they were exposed to 1 hour per week of supportive encouragement and redirection, that still leaves them with 167 hours in their neglectful and abusive environs. Have you been keeping detailed psych work-ups and progress notes on all these kids, I hope? If so, this data cries out to become a paper submitted to a major journal. It would be strong evidence against the prevailing b.s. Since you’d be stepping on a lot of toes, you might get many rejections (positing such things – often ignored if one’s conclusions are popular – as no control group, no formal semi-structured diagnostic interviews, etc. ), but I’ll bet someone will take it. Woke up extra early so I would have time to read these. Now off to shower and work, on the road at 7:15. Thank goodness for two posts. But I am worried about the tsorm, what it looks like and what the end will be. And if you’re “lucky” enough to see your primary care doctor and mentioned you are depressed, you will start the psych med merry go round as described by Dr. Mark Foster, DO. It just seems that patients are no longer allowed to have normal emotions from reacting to very stressful situations such as job loss. It is attributed to a bogus chemical imbalance. Yes, I get that if someone is suicidal, that is a different ballgame. But that isn’t what is happening in alot of cases. 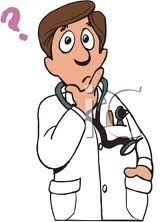 PS – Just so the MDs know I am not picking on them, alternative healthcare folks practice the same BS. They claim their products will restore a proper neurotransmitter balance in the brain when someone is depressed. Roy, very relieved that you didn’t answer “Stephen Stahl” to the question of who can predict mood changes due to X, Y, or Z. Too bad the recognition that life experiences affect emotional patterns is not the dominant paradigm in psychiatry. Only 15%-25% of psychiatrists do anything but prescribe drugs. The back-and-forth got muddled, I was saying that the drugs cause widespread hormonal disruption, not that hormonal disruption underlies mood disorders. That would be too much like “chemical imbalance”! To Dr. M Allen. That antidepressants work in (melancholic) depression is *totally* disputable. In fact, it has been, and will continue to be disputed that antidepressants work routinely for any patient group. Ian – It’s only disputed by people who have never treated melancholic patients with meds, or who have never taken the medicine themselves for a melancholic depression. You should look for a meeting of the flat earth society. You’d fit right in. For Search’ and ‘You – Tube Video Units’. Valbiâ™¬ JBâ™¥, DLâ™¥, MCâ™¥, and SGâ™¥(Mando a Fanculo tutti i ragazzi tranne Justin!-.-“) & BAMBiNi.EU Vi LOVOâ™¥ SiMONE…Non te nÃ¨ andaree Ci MA™RCEHAiiiiiiâN¥ :(( 69 scrive:Concordo con voi!